LEMONT, Ill., Jan. 30, 2017—The Argonne Leadership Computing Facility (ALCF), a Department of Energy Office of Science User Facility, has selected 10 computational science and engineering research projects for its Aurora Early Science Program starting this month. Aurora, a massively parallel, manycore Intel-Cray supercomputer, will be ALCF’s next leadership-class computing resource and is expected to arrive in 2018. DOE’s Office of Science is the single largest supporter of basic research in the physical sciences in the United States and is working to address some of the most pressing challenges of our time. For more information, please visit http://science.energy.gov. 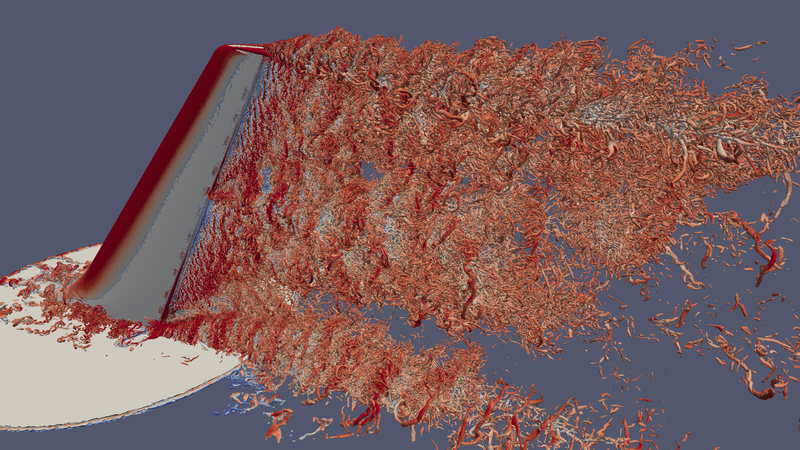 (Upper) Instantaneous isosurface of vorticity (Q) from a detached eddy simulation of a vertical tail/rudder assembly with flow control from a single, active synthetic jet (5th from root). Five billion elements resolve the flow control interaction with the separated flow on the rudder using 128 Ki KNL processors. 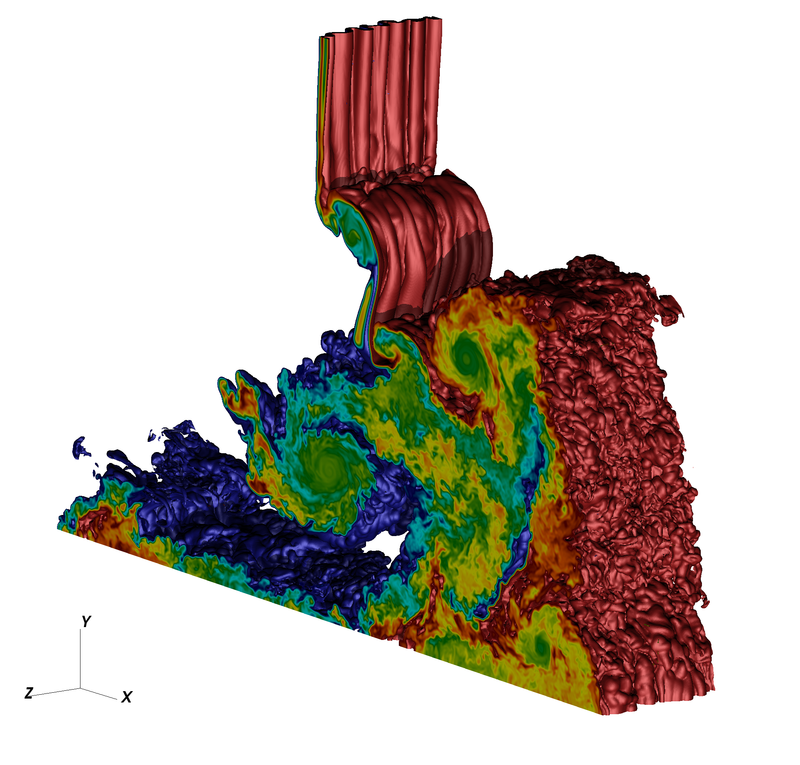 (Lower) Simulation of shock interaction with a variable density inclined interface.